How are your employees' attitudes and perceptions towards the company? Are your employees on board with the company's mission statement, goals and vision? How are your employees' attitudes towards management, fellow colleagues and/or clients? Does your company pride itself to be the ACE OF ATTITUDE in the industry? How is your sales/marketing team's attitude towards the product/s they sell? How many attitude development and empowerment training sessions have your employees or sales/marketing team received this year? BUSINESS ATTITUDE MAKES THE DIFFERENCE! Given the serious gap that exists in the development, improvement and sustainability of employees' attitudes the AA provides companies and executives a deeper understanding of their employees' attitudes towards the company. Employees with positive attitudes toward the company are happier, more creative, provide better service and work more efficiently. The magic behind AA is to assess employees' attitudes toward the business and to solicit the kind of feedback your HR department can't get on its own. The approach is developed to identify those blind spots that play the most important role in the triumph of the company. The AA feedback can be used to assess and formulate appropriate leadership development goals and to clarify various training and/or inspirational, motivational needs. It does not only assist with identifying the company's needs but to improve and strengthen them. Jacques's Attitude Audit (AA) is a facilitating service that monitors your organisation's pulse and temperature. The objective of AA is to serve as a dynamic feedback tool to assist companies and participants assess the development, improvement and sustainability of a positive attitude. 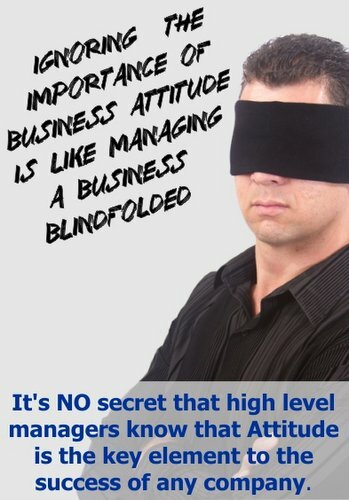 Attitude is the key ingredient to the success of any company especially in today's fast paced changing world. The AA feedback indicates where improvement is needed. Here's the secret: If you are struggling with turnover, if employees are disengaged and lacking motivation, the AA will provide valuable feedback. WHEN THE ATTITUDE OF AN EMPLOYEE IS POSITIVE THE MIND EXPANDS. WHEN THE ATTITUDE OF A TEAM IS POSITIVE THE COMPANY EXPANDS. WHEN THE ATTITUDE OF A COMPANY IS POSITIVE, THE FUTURE EXPANDS AND EMPLOYER, EMPLOYEE AND CLIENTS WILL PROSPER. Don't judge employees solely by their experience or ability. Their ATTITUDE is far more important. "Employees' attitudes influence the attitude of the company in general, which in turn influence the company's attitude towards clients as well as prospective clients." "You take care of the employees. The employees take care of the service. The service takes care of the clients. The clients take care of the profit.